Market Snapshot for SLS Brickell Hotel & Residence, Condo/Villa/Townhouses, residential community in Miami, Florida. SLS Brickell Hotel & Residence Condo/Villa/Townhouses is located at 1300 S. Miami Ave., Miami, Florida, 33130. This residential community was built in year (2017) and currently offering (169) Condo/Villa/Townhouses for sale in SLS Brickell Hotel & Residence, with price ranges from $355,000 to $3,999,999. 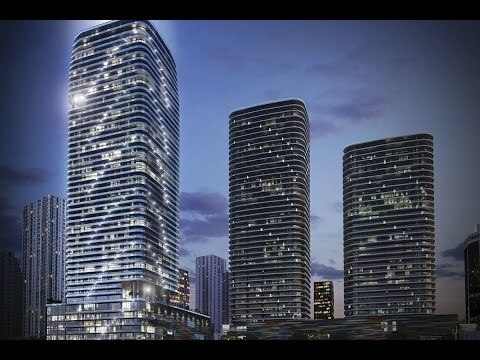 Whether you are looking for most up-to-date SLS Brickell Hotel & Residence, Condo/Villa/Townhouses, residential community or another luxury development in Miami, Florida to Buy or to Sell, our website will provide you with the most up-to-date luxury homes and condos for sale in the city of Miami. SLS Brickell Hotel & Residence: Brand new luxurious Upper Penthouse located in the heart of Brickell. This corner unit features 3 bedrooms & 5 full bathrooms, floor to ceiling windows throughout, private elevator foyer, Italkraft kitchen is accompanied by exquisite marble countertops & top of the line Sub-Zero appliances. Incredible Roof terrace with private pool & BBQ overlooking the amazing Brickell Skyline. Wrap around terrace with unobstructed views of the city & bay from every room. This exclusive building offers wellness fitness center, tennis courts, spa, pool side cabanas, pool bar, full service business center, BBQ area, indoor & outdoor kids area, 45th floor sky lounge with billiard & wine cellars, roof top pool only for residents with amazing views to Brickell Skyline, 24 hrs valet and personalized concierge. SLS Brickell Hotel & Residence: One of a kind 4 Bedroom 4.5 Bathroom unit in the new SLS Lux Brickell. Flow through unit with South East croner views and 2 master suites. Residents can enjoy ultimate access in an oasis of exclusive privileges. Sophisticated designer interiors, original works of art by contemporary masters, private rooftop pool terraces and celebrity chef restaurants are amongst the many features, amenities and services designed to indulge by residents of SLS LUX. Pamper yourself by the SLS Spa and room service from the on site Katsuya restaurant/bar, access to the 57th level rooftop sky lounge and two-story Cava lounge with outdoor living rooms and Jacuzzi waterfall showers. Enjoy rock-climbing wall, tennis court, basketball court and full service fitness center. Click link for unbranded video. SLS Brickell Hotel & Residence: Spectacular panoramic Ocean /City views from this gorgeous residence at SLS LUX Brickell. 2 and half Bedroom , 4 Bathroom with open kitchen & living room spaced. 5 star resort style, amenities feature fitness center, outdoor exercise area, children's play room, business center, billiard, tennis, spa, infinity pool, 2 assigned parking spaces, 24 hrs Valet and concierge. SLS Brickell Hotel & Residence: The only Upper penthouse available for Purchase at the SLS with a private roof top terrace and direct access to the roof top pool. This home is offered turn key with no expense spared and over $250,000 in renovations including a state of the art glass Stairway and custom doors with designer furniture. Contact me for a tour. SLS Brickell Hotel & Residence: No expense was spared to create this masterpiece. No detail overlooked. A must see unit. Oversize living area, upgraded kitchen, marble counter tops, 503 sq ft of balcony space. Custom built closets and lighting in every bedroom. Den can be 4th bedroom. Live in the center of it all. 3 parking spaces. SLS Brickell Hotel & Residence: :Luxurious Penthouse located in the heart of Brickell with exclusive access to the rooftop private pool,bar & amenities. This unit features floorto ceiling windows throughout,gorgeous fully equipped gourmet kitchen is accompanied by exquisite marble countertops and top of the line SubZeroappliances.Surround Sonos System. Motorized window treatment. Incredible unobstructed views of the Ocean, City and bay from every room. Top of the lineItalian decor. SLS incredible amenities with Private Beach SLS Miami Beach membership included. SLS Brickell Hotel & Residence: AMAZING SLS BRICKELL PENTHOUSE WITH THE BEST UPGRADES IN THE BUILDING. TILES ARE MOCHA CREAM LIMESTONE FROM PORTUGAL. THE DOORS ARE ITALIAN STYLE, FRAMELESS WITH ITALIAN MAGNETIC DOOR HARDWARE. THE MASTER CLOSET HAS AN ITALIAN STYLE WOOD VEENER CLOSET AND THE MASTER BATH HAS PORCELAIN TILES FROM SPAIN TOGETHER WITH AN INFINITY ELECTRIC MIRROR. THE UNIT HAS LED SPOTLIGHT LIGHTING THROUGHOUT. EACH OF THE 3 BEDROOMS HAS MOTORIZED BLACKOUT SHADES. EASY TO SHOW, BRING YOUR BEST CLIENTS. SLS Brickell Hotel & Residence: Welcome to the largest, most envious kitchen & living room spaced 3 bed/ 4 bath + Den layout offering 2,410sf in SLS Lux! Boasting wrap around floor-to-ceiling windows accompanied by a 503sf balcony facing direct East overlooking Biscayne Bay & the Brickell skyline. Each spacious bedroom features a relaxing on-suite bathroom offering plenty of closet/ storage space. The walkability & prime location offers a desirable live, work & play lifestyle. Enjoy concierge & room service from a building linked Ipad. 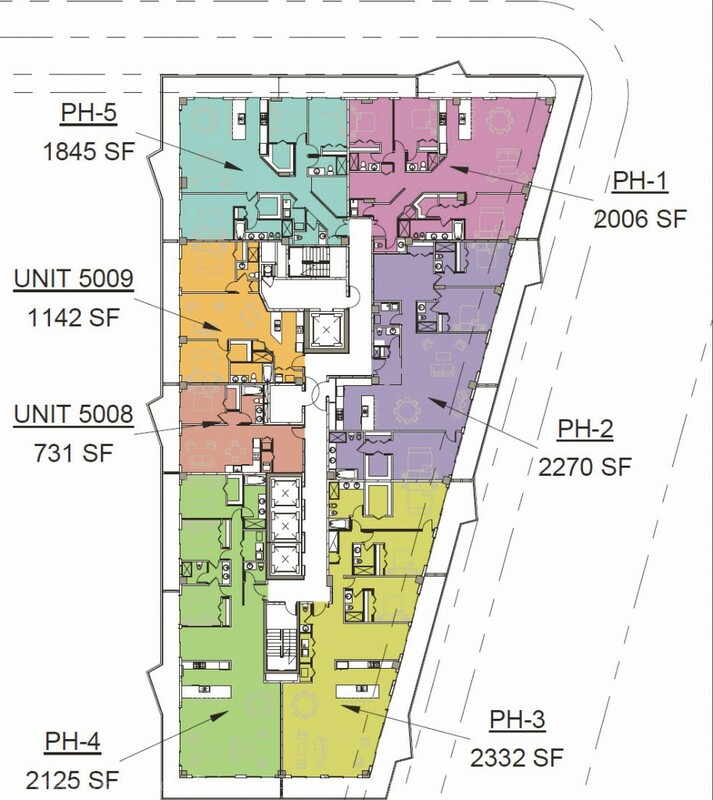 SLS Brickell Hotel & Residence: Attention investors: Here’s an opportunity to create a unique 3 bedroom 4 bath residence with over 2,150 SQFT living area and 400 SQFT double balcony! Live in the star of Brickell and enjoy the SLS LUX lifestyle every day. Be wowed from the extraordinary art collection to being pampered by the SLS Spa and room service, the onsite Katsuya restaurant / bar, 57th level rooftop resident-only sky lounge and a two-story cava lounge with outdoor living rooms, jacuzzi waterfall showers all on the 45th Level. A rock-climbing wall, tennis court and full service fitness center makes a perfect balanced lifestyle of wellness. SLS Brickell Hotel & Residence: THE RESIDENCES AT SLS BRICKELL. 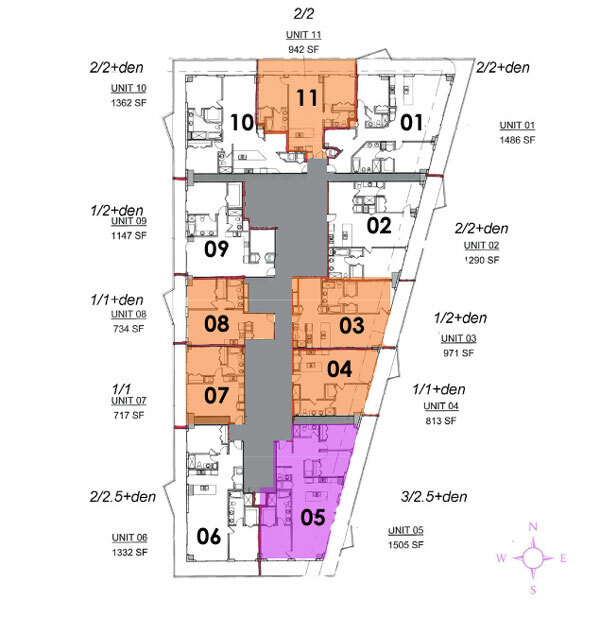 3 BEDRROMS - 2 1/2 BATHS PLUS DEN PENTHOUSE. FLOOR TO CEILING WINDOWS AN DOORS. ENJOY PANORAMIC VIEWS IN ALL THE OF THE CONFORT AND CONVENIENCE OF LIFE IN A 5 STAR HOTEL WHILE MAINTAINING PRIVACY BY EXCLUSIVE RESIDENTIAL LOBBY AND ELEVATORS. CONTEMPORARY INTERIORS AND GENEROUS TERRACES TO SET THE STAGE OF AN ELEVATED LIFESTYLE. LOCATED IN THE NORHT WEST CORNER PENTHOUSE WITH 3BED/2.5BATH PLUS DEN. THIS UNIT IS UPGRADED. MANY AMENITIES: FULL SERVICE SPA FITNESS CENTER, 2 POOLS, VIP ACCESS TO SLS HOTEL SERVICES. SLS Brickell Hotel & Residence: Rare opportunity to purchase one of the only combined units at the exclusive SLS LUX Residences. Enjoy urban views from this oversized 2-bedroom unit with den/office or media room. 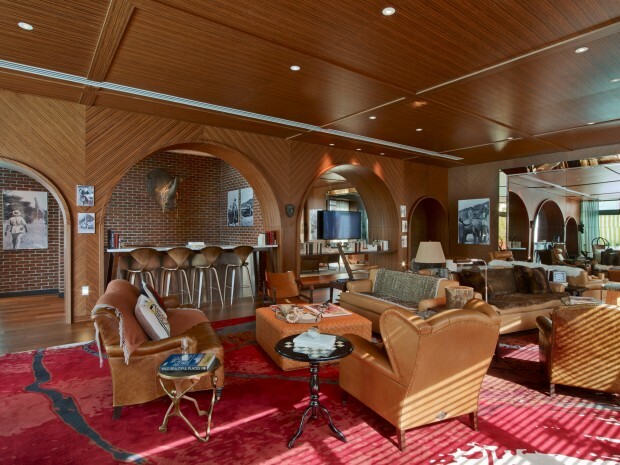 The residence is almost 2,000 square feet under AC plus 500 feet of terrace. Private elevator entry. Beautiful gourmet kitchen with top of the line appliances, and Italkraft cabinetry. Two assigned parking spaces. Make this a must-see opportunity for the most discerning buyer. This is one of the only combined units at SLS Lux. Residents enjoy proximity to Brickell City Center, Mary Brickell Village, Katsuya restaurant in the building and more. Building features club room, tennis courts, mountain climbing activity, private residents rooftop pool and access to the hotel amenities as well. SLS Brickell Hotel & Residence: Amazing Penthouse with amazing views and luxury finishes. SLS Brickell Hotel & Residence: This high-ceiling modern elegant PENTHOUSE unit offers incredible panoramic views of the Ocean, Biscayne Bay, Key Biscayne, Brickell, and much more. Open Italian Cabinetry kitchen with High-End appliances from Miele and Sub-Zero. This unit has 4 amazing well distributed bedrooms with ample balconies, 3.5 bathrooms with high quality finishes. High end designed closets in every room, remote controlled curtains throughout the unit. 2 covered assigned parking spaces. The building offers a gym, sauna, 2 pools (EXCLUSIVE Roof Top Pool), valet parking, 24-hour concierge service, kids room, party room, and two on-site amazing restaurants. Perfect location in the financial district, access to a variety of restaurants to fulfill anyone's desire. SLS Brickell Hotel & Residence: Spectacular Penthouse on 50th floor of SLS Brickell featuring panoramic views extending across Biscayne Bay, Miami Beach and Miami Skyline. 3 bedrooms all en-suite plus den. High end finishes include imported Italian porcelain floors, Bosch and Sub-zero appliances, Light marble kitchen countertops, floor to ceiling windows. Wrap around balcony with picturesque views from sunrise to sunset. Amenities include spa, state of the art gym, heated pools, access to SLS Hotel services, restaurant and more. SLS Brickell Hotel & Residence: Come Live in the most desired and HOT building in the Brickell area, SLS LUX designed by Arquitetonica and elegant interiors by Yabu Pushelberg, includes museum quality art in all common areas. Located between Mary Brickell Village and Brickell City Center. Access your residence on a private elevator with Biometries technology, enjoy ample living areas with scenic Bay & City views from this high floor corner unit and expansive wrap-around balcony. 3BED +DEN/4Bath, Features floor to ceiling windows, California closets, upgraded Italian kitchen, top of the line appliances and smart wireless control pad. Vacant ready to move-in. Upgraded electric blinds & shades. SLS Brickell Hotel & Residence: Beautiful 3 bedroom plus den. 1,774 sq ft corner unit with oversized wrap around balcony in the heart of Brickell at the highly anticipated SLS Lux. 2 private elevators, stunning bay& skyline views. 3 beds, 4 full bathrooms plus den, marble upgrades, smart home automation, Italian closets and views forever, this is a must see unit. 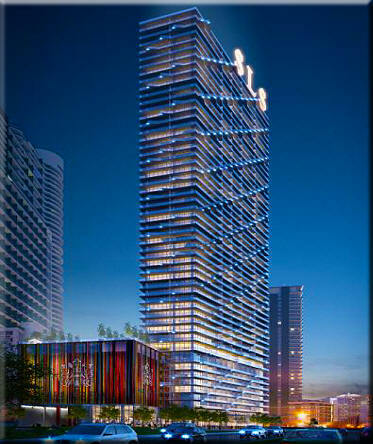 SLS Brickell Hotel & Residence: One of a kind 3 Bedroom 4 Bathroom unit in the new SLS Lux Brickell. Private elevator and 2 parking spaces! Sophisticated designer interiors, many features like: Spa rock-climbing wall, tennis court, basketball court pool, and full service fitness center. SLS Brickell Hotel & Residence: Amazing views from this high floor. Great floor plan for this 3 bed 3 bath. Many upgrades in this unit. SLS Brickell Hotel & Residence: Brand new stunning corner unit at SLS Lux featuring 10ft ceilings and breathtaking water views. 3 bed/3.5 bath + den with 3 assigned parking spaces. Your chance to live in a high demand building with 5 star amenities. Located in the heart of Brickell, between Mary Brickell Village and Brickell City Center. Miami's newest high-rise designed by Arquitectonica, and elegant interiors by Yabu Pushelberg, includes museum-quality art in all common areas. Access your residence on a private elevator with biometrics technology. Features California closets, Italian Kitchen, top of the line appliances and "smart" wireless control pad.